All Access Real Estate Associates, a photo by totemtoeren on Flickr. In today's real estate market, there is simply no substitute for a good New Hampshire and Vermont REALTOR®. Whether you're aiming to buy or sell property, a REALTOR® can spell the difference between a smooth transaction and an unsuccessful one. New Hampshire and Vermont Homebuyers Deserve the Very Best! At All Access Real Estate Associates NH/VT you will find we are dedicated knowledgeable REALTORS® who can provide you with the highly specialized information that will help you make the right decisions. It's the combination of this unique market-knowledge and excellent negotiating skills that enable us to get you the optimal price for any property you plan to sell or buy. As New Hampshire and Vermont real estate professionals servicing several small communities in the Central-Western and Northern regions of New Hampshire including many towns within Grafton and CoosCounties, as well as Central-Eastern and Northern regions of Vermont, including many towns within Orangeand Caledonia Counties, we can provide you with helpful insights about the area, and can show you why NH and VT living is truly something to be desired. With a professional yet friendly approach, we help our customers and clients feel comfortable about what can be a stressful decision by walking them through the process every step of the way. Trust is hard to come by in today's fiercely competitive real estate market. We're here to provide you with the professionalism and integrity needed to ensure that you feel secure in what can be one of the biggest decisions of your life. Please feel free to use this website as a resource for all your Real Estate needs, and if you have any additional questions, don't hesitate to contact us today. 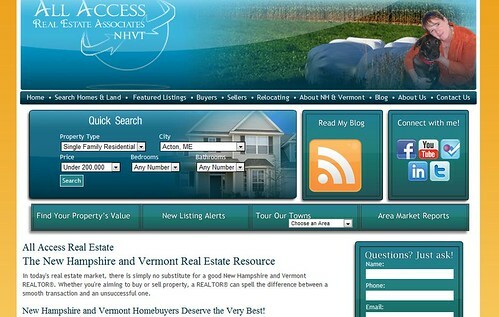 Consider this website as your comprehensive New Hampshire and Vermont real estate resource. Here you can preview properties for sale in the New Hampshire and Vermont area, tour our New Hampshire and Vermont neighborhoods and, if you like, maybe even get to know us better. It's all about providing you the tools you need to confidently complete your New Hampshire and Vermont real estate transaction. Those tools include easy to use New Hampshire and Vermont property search tools and New Hampshire and Vermont area info. If you need our expert New Hampshire and Vermont real estate assistance, we are aclick or call away. 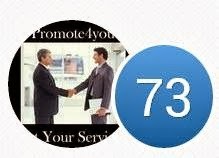 No pressure, no strings - just great service! Ready to Explore New Hampshire and Vermont Neighborhoods? Let's face it, you're not just buying wood, brick and mortar on a piece of dirt when you buy a property. We're talking lifestyle here! That means you need New Hampshire and Vermont local area information if you are to make a quality New Hampshire and Vermont home buying decision. Are you ready to take your online tour of New Hampshire and Vermont? If so, the New Hampshire and Vermont neighborhood explorer offers a searchable interactive map and list of neighborhoods. Drill down and you'll find all kinds of terrific area facts and awesome photos to give you a glimpse of this great area we call home. Oh, don't forget to contact us to assist you with your reloction to New Hampshire and Vermont. We are happy to assist in every way we can, it's our way of saying welcome to New Hampshire and Vermont! How Much is Your New Hampshire and Vermont Home Worth? In any market condition, that's the #1 question asked by home sellers. If you have to sell your New Hampshire and Vermont home, it needs to be sold for top dollar and in a timely manner. Question is how much is it worth? Pricing your New Hampshire and Vermont home accurately, we make selling your home so much easier. Your New Hampshire and Vermont home will receive maximum exposure with our exclusive marketing plan. Plus, we promise every aspect of the selling process will be managed to your complete satisfaction. Contact us today for your initial New Hampshire and Vermont home evaluation.